Are you ticked off by bugs? Specifically mosquitoes, fleas and ticks on your dog or cat? I know I am... Each year when Spring comes, we begin our battle with the bugs. Thankfully, this battle is mostly with fleas and mosquitoes only and I don't need to worry about ticks that much. I've only ever found 3 ticks on Shiner in her whole lifetime, but that's still 3 too many. There are a lot of options available today to fight fleas and ticks. If you're looking for a natural path to fight the bugs, then you've come to the right place today. 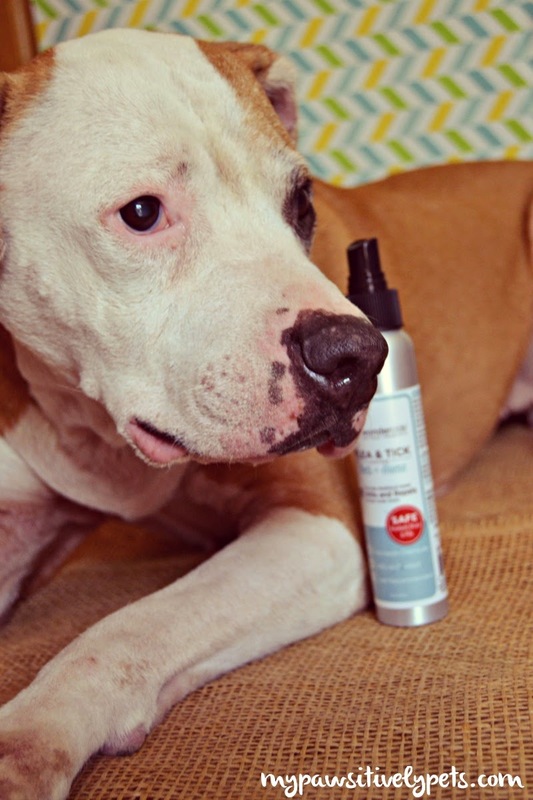 Recently, Wondercide sent us a bottle of their Flea & Tick Control for Pets + Home. 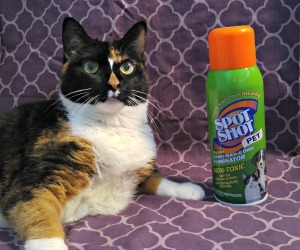 This spray repels and kills fleas, ticks, and mosquitoes. You can use it on both dogs and cats, bedding, and upholstery. The bottle also says that it can help sooth skin that is already itchy. And it's a natural bug treatment and preventive measure! Wondercide is an Austin, Texas company that makes natural and organic products that don't contain harmful chemicals or synthetic pesticides. Their products are made in the USA. 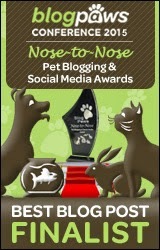 Follow both @pawsitivelypets and @wondercideorganics on Instagram. Leave a comment on the Giveaway photo on Instagram about something that ticks you off about fleas and ticks. Tag 3 friends in your comment. BONUS entry points if you repost the image with the hashtag #WonderPupsLoveWondercide. Entrants must reside in the US only and be 18+ please. 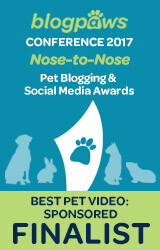 The winner will be announced tomorrow, April 28th! Good luck everyone! 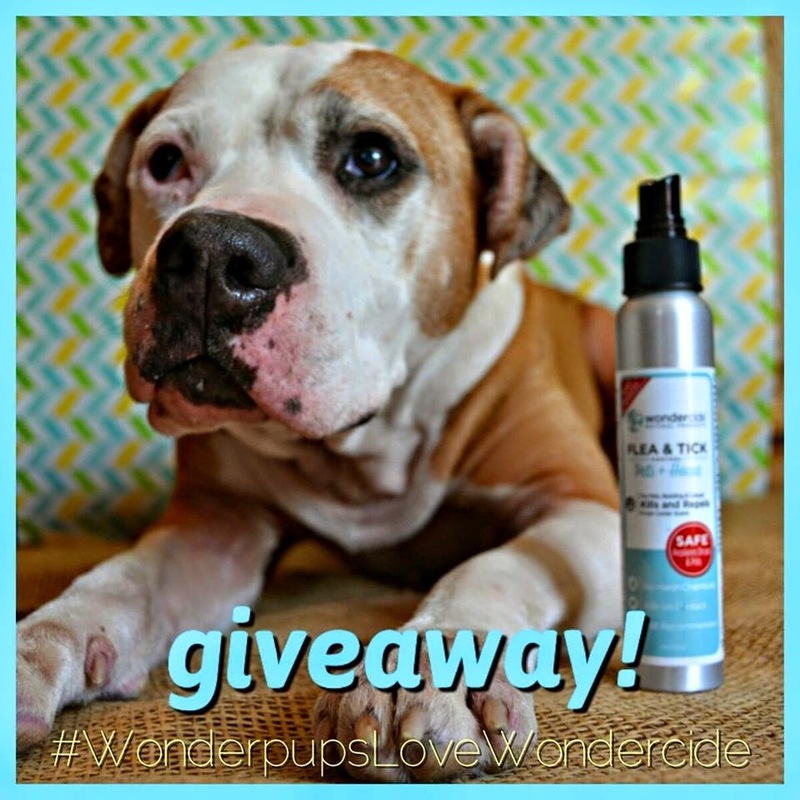 Wondercide sent us some of their Flea & Tick Spray and are sponsoring this giveaway for our followers. This post does contain affiliate links. This is a great giveaway! Definitely passing it along. I'm still using Wondercide products for Titan. Love em! It sounds to me like ticked off is a good thing! Hope you stay tick free Shiner! We saw this somewhere yesterday too. No ticks on our furs please. Really sounds like a great product. Anything that protects my dogs from ticks is wonderful for be. Definitely buying this to test out...even one tick is one too many. One of these days I'm going to get on Instagram!